Everyone needs to visit the dentist regularly – kids, women, and men, but one of these demographics isn’t visiting the dentist as much as they should. Can you guess who? If you said men, then you are correct. Why is that the case? 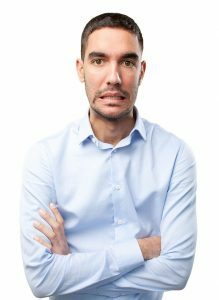 Nearly 45% of men polled felt that they simply don’t need to see a dentist, and about 30% of those polled said they don’t visit the dentist regularly because they are afraid or embarrassed. Almost 18% revealed that they just don't have the time for a dental visit, and about 5% said they don’t go to dental checkups because they don’t have a dentist. Another common reason we found included only visiting the dentist when they have pain or a problem. Brush your teeth at least twice a day for two minutes along with flossing. Visit your dentist at Dental365 twice a year for a cleaning and exam. Feel free to pass this information on to the men you know, or if you’re a man reading this and you’re one who hasn’t been to the dentist in some time, please give Dental365 a call at 844-365-DENTAL. We make seeing the dentist a breeze. Our dentists and staff won’t judge you or make you feel bad about lagging in seeing a dentist. We just want to make sure you are healthy, and if not, get you back on the path to total-body wellness.